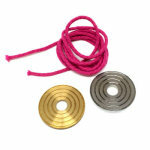 This one makes you look like a coin master! 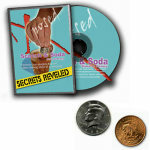 If you like Scotch and Soda Coins, you'll love this one! 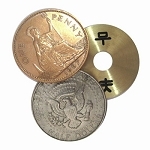 Show two coins, a gold colored one and a silver colored one. Place them in your closed hand. Remove one and place it in your pocket. Open your hand and both coins are still there! Repeating this several times, the coins continue to magically reappear! Finally your hand is opened and both coins have vanished! 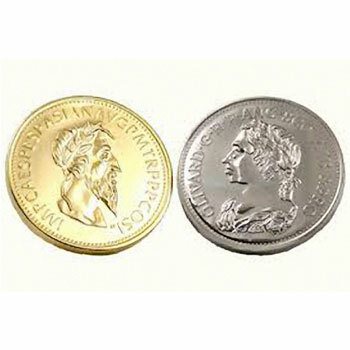 Extraordinarily beautiful custom-made coin set that you will be proud to own! THIS PRODUCT NO LONGER COMES WITH A PHYSICAL DVD. The manufacturer used to provide the instructions for this trick on a DVD. The entire contents of the original instruction DVD is now ONLINE. 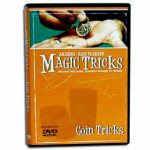 The manufacturer now provides all of the instructions for this trick via both printed instructions PLUS an ONLINE VIDEO. The link to the video is printed on the product packaging. The manufacturer now provides all of the instructions for this trick via printed instructions PLUS an ONLINE VIDEO. Awesome attention getter! Everyone I performed this with are amazed! I highly recommend this for your act! Truly an amazing,stunning piece of coin magic! 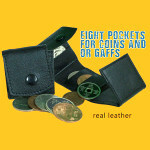 Makes you look like a real coin expert yet the coins do all the work. I love practicing this trick and even more performing it. Add this to your act. You will not regret it!